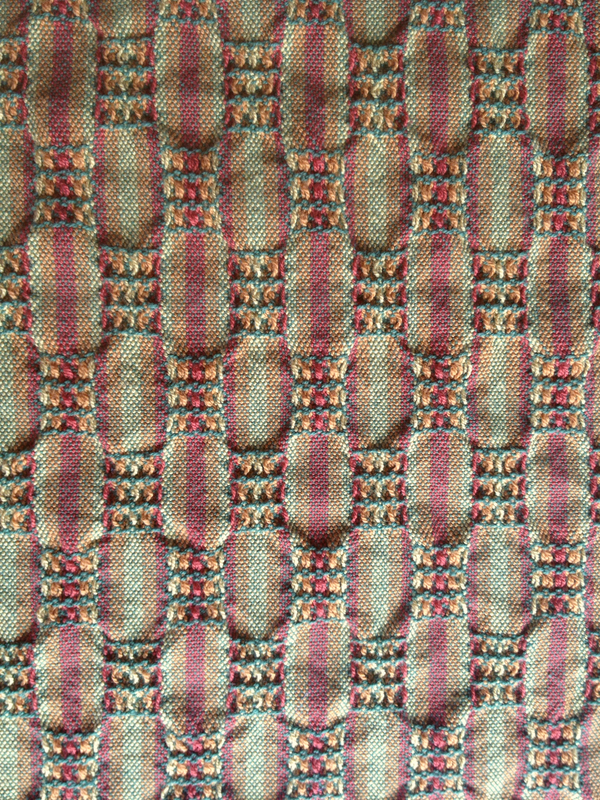 Blocks of plain weave alternating with blocks of waffle weave. Magically it could be woven on the same warp as my last blog post, simply by changing the tie-up and treadling. My only regret is I was only able to sample this weave since I had had such fun playing with color. I wove 7 towels using five different color Wefts. One color weft for each towel above, cayenne, burgundy, pumpkin, elm green, and gold. I’m always amazed with color interactions. Some day I’ll put another warp on the loom to weave more of the waffle weave.Which was #519, page 144, A Weaver’s Book of 8-Shaft Patterns. These towels will be some of the handwoven items for sale at the guilds upcoming CHH Handweavers Holiday Sale, Nov 17 – 19, 2016. Click on the link to see a post card. So I’m trying to think fall and cooler weather, even though there’s a high of 85 degree’s today. This picture wasn’t taken in Houston but in Madison, Wisconsin where we attended a nephews wedding.It helps me remember it’s Fall when it feels like summer. This entry was posted in Handwoven towels, Twill Weave and tagged CHH Handweavers Holiday Sale, Color inspiration, handweaving, Handwoven Towels, weaving. Bookmark the permalink. Love the towels and the fall photo! see you at the sale. The towels look great. Waffle weave is such a good structure isn’t it? Let us know how the sale goes, won’t you. I’ve done traditional 7 shaft waffle weave several times for towels. I really like it with the plain weave blocks. That’s very cool! I now have a loom with enough shafts and I have the book you make reference to so . . . another project for the to-do list! Kerry, the to do list just keeps getting longer the more you weave, doesn’t it. Deb, Thank you. My loom is naked now and waiting for another project yet to be determined. Trying to finish handwork on items I’ve woven.